Seen (usually on a server) when trying to connect to either Outlook Web App, or The Exchange Admin Center. To use Microsoft Outlook Web App, browser settings must allow scripts to run. For information about how to allow scripts, consult the Help for your browser. 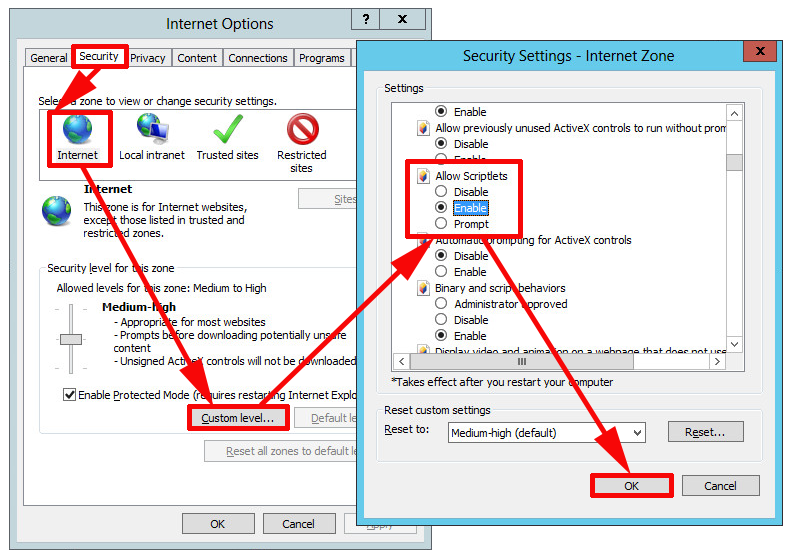 If your browser doesn’t support scripts, you can download Microsoft Internet Explorer for access to Outlook Web App. You have two options, the first is more sensible (and more secure) so that would be my preference. 1. 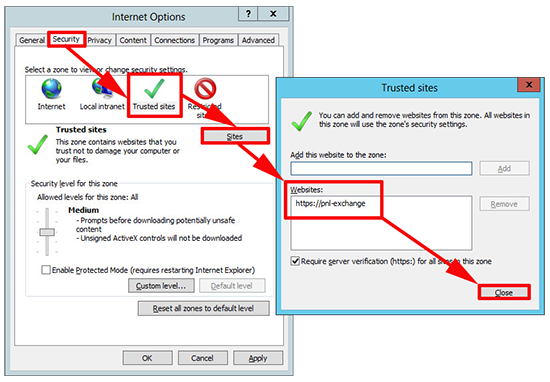 From Internet Explorer Options > Security > Trusted Sites > Add the URL of OWA or ECP > Close > Apply > OK.
1. 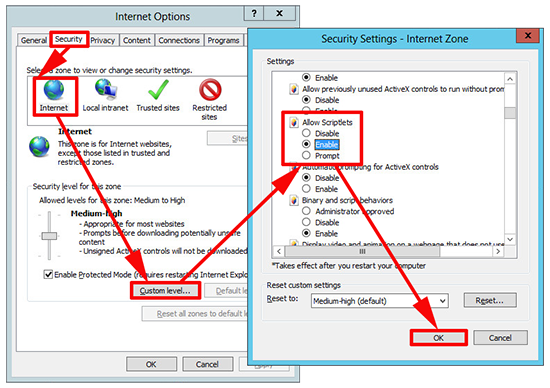 From Internet Explorer Options > Security > Internet > Custom Level > Allow Scriptlets > Enable > OK > Apply > OK.